Vanguard originally announced their two new international bond funds back in 2011. But things moved somewhat more slowly than anticipated, and the funds weren’t made available to investors until May and June of this year. But now the funds are available, their portfolios are in place (i.e., the funds no longer hold just cash, as they did when they were brand new), and Vanguard’s website has all the standard information about the funds’ holdings. So let’s see what they look like, shall we? Expense ratio: 0.20% for Admiral shares (with a $10,000 minimum), 0.23% for Investor shares. Average duration: 6.7 years, meaning this fund should be slightly more volatile than Vanguard’s Total Bond Market Index Fund (with its average duration of 5.5 years). SEC yield: 1.66%, which is slightly lower than the current SEC yield of 2.00% on Vanguard Total Bond Market Index Fund. Credit risk: Slightly higher than Vanguard’s Total Bond Market Index Fund, with the largest part of its holdings being AA-rated bonds rather than U.S. Treasury bonds. Currency risk and inflation risk: Because the fund will be currency-hedged, currency risk should be minimal, and inflation risk should be comparable to that of any dollar-denominated nominal intermediate-term bond fund. In short, relative to the domestic “total bond” fund, the new “total international bond” fund is slightly more expensive, has slightly more interest rate risk, slightly more credit risk, and a slightly lower yield. When viewed as a stand-alone investment, it’s not exactly the sort of thing I’d be rushing to get my hands on. While the new Total International Bond Index Fund is, overall, fairly similar to the domestic Total Bond Market Index Fund, Vanguard’s new Emerging Markets Government Bond Index Fund is an entirely different beast due to its level of credit risk and its corresponding yield. Expense ratio: 0.35% for Admiral shares (with a $10,000 minimum), 0.50% for Investor shares. Currency risk: None, because the fund invests in dollar-denominated bonds. Inflation risk: Comparable to any intermediate-term nominal bond fund. Emerging market government bonds have a significantly higher correlation to U.S. investment grade bonds than high-yield U.S. corporate bonds do. “My wife recently turned 65, and I am 66. Both of us are retired. My wife has a relatively small annuity that is now valued at approximately $46,800. She can take a lump sum or choose one of many annuitization options. When you need to select one out of several annuitization options (or payout options on a pension), I think a helpful first step is to get quotes elsewhere to see if one of the options being offered is an unusually good (or bad) deal. The annual payout for a fixed lifetime annuity (with a 5-year guaranteed period) for a 65-year-old female is 6.51%. In other words, it looks like the lifetime income option is an ever-so-slightly better deal than the 5-year option with no lifetime income (because it has a slightly higher market value). And they are both significantly better deals than the $46,800 lump sum option. Given how close $51,060 is to $50,862 though, I probably wouldn’t pay much attention to which one is a slightly better bargain. Rather, I would choose based on which one fits better into my overall financial plan. In other words, do you want to further annuitize your portfolio — that is, turn it into lifetime income rather than liquid assets? 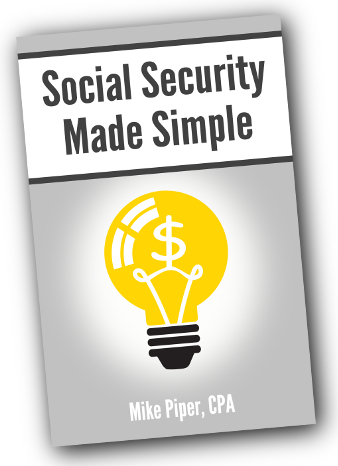 When making this decision, it’s helpful to remember that you already have some lifetime income via Social Security. And, in most cases, “buying” more Social Security by delaying benefits provides more bang for your buck, so to speak, than an actual annuity from an insurance company. So, for most investors, annuitizing via an actual lifetime annuity only becomes desirable if they still want more lifetime income than what they can get from Social Security. Regardless of your employment status (i.e., public employee, private employee, self-employed, or unemployed), you can always make an appointment to speak with an SSA representative so that they can explain your options. If you do that though, it’s important to be aware that SSA employees, like anyone, can make mistakes. Bob visits his local SSA office. Bob meets with an SSA employee and asks the employee a question — let’s call it Question A. The SSA employee thinks that Bob asked Question B (either because Bob used incorrect terminology when asking his question, because he did not explicitly state all the relevant assumptions underlying his question, or because the SSA employee simply misunderstood something that Bob said). The SSA employee answers Question B. Through the entire conversation, the miscommunication goes unnoticed by both people involved, and Bob walks away thinking that the answer to Question B is the answer to Question A — only to find out the truth later, when something goes wrong (e.g., he gets a check for less than he expected or he is told he’s ineligible for a benefit that he thought he’d be able to claim). If somebody is filing a restricted application (i.e., an application after reaching FRA for just spousal benefits) or filing and suspending, be sure to state that clearly. And when asking about a particular benefit, be sure to state clearly whether you are asking about your retirement benefit, your spousal benefit, your widow/widower benefit, or your total monthly benefit (e.g., your retirement benefit plus spousal or widow/widower benefit, if applicable). Frankly, I think it’s a good idea to put your question on paper. That way you can plan it out thoroughly beforehand, you won’t forget to state anything important, and the SSA employee you meet with can read it and reread it as necessary. The Government Pension Offset (GPO) reduces any benefits you can receive on your spouse’s work record (i.e. spousal benefits or widow/widower benefits) by an amount equal to 2/3 of your government pension. If you’re unmarried (and have never been married), the answer is easy: There’s little to change with regard to the conventional when-to-claim-benefits advice. That’s because, while the Windfall Elimination Provision does reduce your benefit, it does not change the break-even math, because your benefit still grows at the same rate for each month you hold off on claiming benefits. For married retirees, as with unmarried retirees, the WEP’s effect is straightforward: It reduces the spouse with the pension’s PIA, which is no different from a situation in which that spouse simply had a lower retirement benefit to begin with (i.e., due to a lower earnings history). The effect of the GPO is more complicated though. Because of the GPO, the options available to the couple will vary depending upon the size of the government pension in question. In short, because of the complexity added by the GPO, it’s difficult to make any broadly-applicable rules of thumb. Instead, it’s probably easier to run through a few different examples to give an idea of how things can play out. Example #1: Melissa and Eric are married. Melissa has worked for her state government for her entire career. So a) she has never paid into Social Security and therefore doesn’t qualify for a retirement benefit of her own and b) her state pension is large enough to completely eliminate any Social Security benefits she could receive as Eric’s spouse or widow. In this case, things are pretty straightforward. Melissa has no Social Security-related decisions to make. And Eric’s decisions are essentially the same as they are for an unmarried person (at least in terms of break-even math) because the only benefit in question is his retirement benefit — no spousal benefits of any kind are available. Example #2: Michelle and James are married. Michelle worked in private industry for 10 years (just long enough to qualify for a Social Security retirement benefit), then worked for the rest of her career for the state government. Her government pension is large enough that the GPO will completely eliminate any spousal or widow’s benefits she could otherwise receive based on James’s work record. She does qualify for a retirement benefit of her own. But because of the WEP and because her average-indexed monthly earnings includes 25 years of zeros, her retirement benefit will be quite small. Having James delay his retirement benefit is not as advantageous as it normally is for the spouse with the higher benefit, because delaying his benefit only increases the amount the couple will receive as long as James is alive (whereas in most married couples, delaying the higher of the two retirement benefits increases the amount the couple receives as long as either spouse is still alive). Because Michelle cannot receive a spousal benefit at any point, the only clever strategy Michelle and James can use is for James to get four “free” years of spousal benefits (between FRA and age 70) based on Michelle’s work record, by filing a restricted application for spousal benefits once he reaches his FRA of 66. But, given that Michelle’s PIA is so small, James’s Social Security benefit as Michelle’s spouse will be very small. Example #3: Martha and Paul are married. Martha worked in private industry for 20 years (and therefore qualifies for a significant Social Security benefit), then worked for her local government for 20 years. Her government pension is large enough to eliminate any spousal benefits she could receive based on Paul’s work record, but it is not large enough to completely eliminate the benefit she could receive as Paul’s widow, if that ever becomes applicable. It is now even more advantageous for them to use the restricted application strategy in which Paul gets 4 years of free spousal benefits, because those benefits will be based on a higher earnings history than were James’s spousal benefits in the previous example. 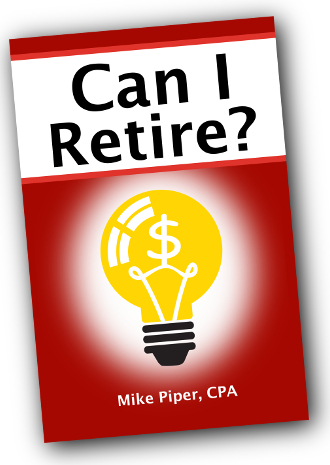 A common piece of retirement tax planning advice is to spend from taxable accounts before spending from IRAs and other retirement accounts, so as to maximize the length of time that your money is allowed to grow tax-free. Depending on circumstances, however, that advice may need to be turned on its head when you know you’ll be bequeathing most of your holdings. The key fact here is that when your children inherit your taxable holdings, they will receive a “step-up” in cost basis. That is, their cost basis will be the market value of the assets as of (in most cases) the date of your death. 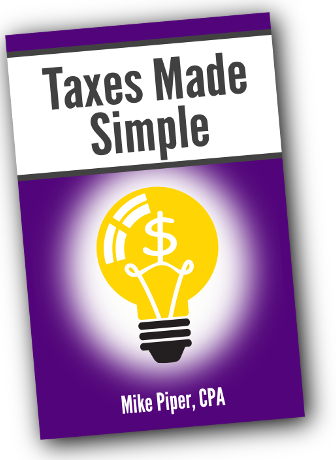 As a result, any unrealized capital gains that had built up over your lifetime will go entirely untaxed. Therefore, for taxable holdings in which you already have significant unrealized capital gains, it often makes sense to avoid liquidating those holdings and paying tax on the gain, given that it’s possible to avoid paying tax on the gain at any point in time. The older you are — or, to be more blunt, the shorter your remaining life expectancy — the more likely it is that it makes sense to avoid selling taxable holdings with unrealized gains, because there will be fewer years in which you have to pay taxes on dividend and interest income before your heirs get to take advantage of the step-up in basis. But when you expect to leave most of your assets to heirs, it becomes a question of how your current marginal tax rate compares to the marginal tax rate you expect your heirs to have while they’re taking money out of the accounts. If you expect your heirs to have a higher marginal tax rate than you have now, preserving the Roth account (by spending from the tax-deferred accounts) generally makes most sense. 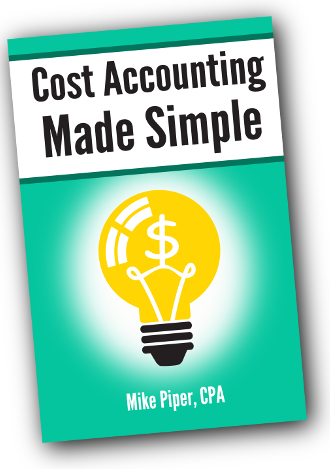 In addition, Roth conversions can be a useful tool in years in which you find that, even after taking sufficient distributions from tax-deferred accounts to satisfy your living expenses, you still have a marginal tax rate that is lower than the marginal tax rate you expect your heirs to have when they’re taking money out of the inherited IRA.